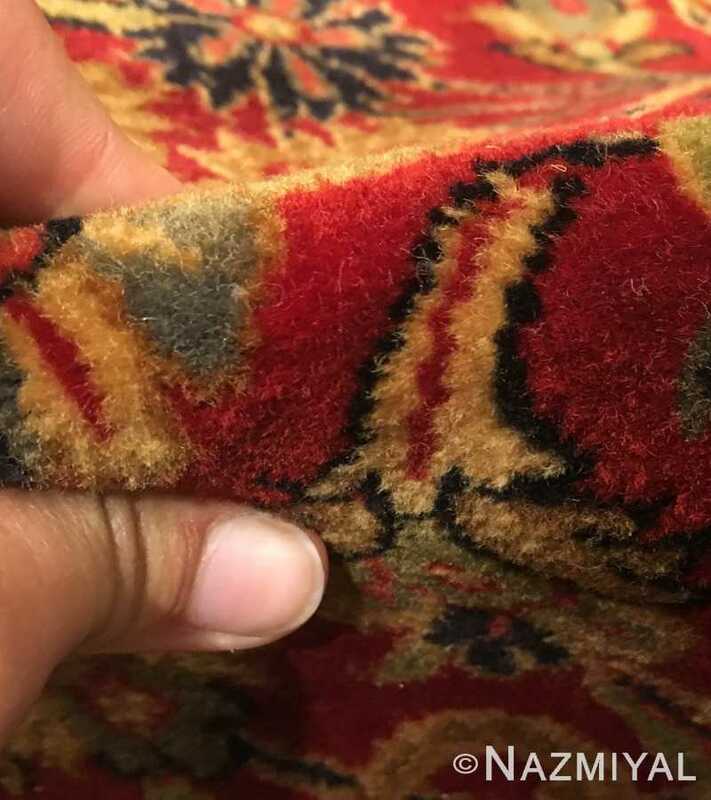 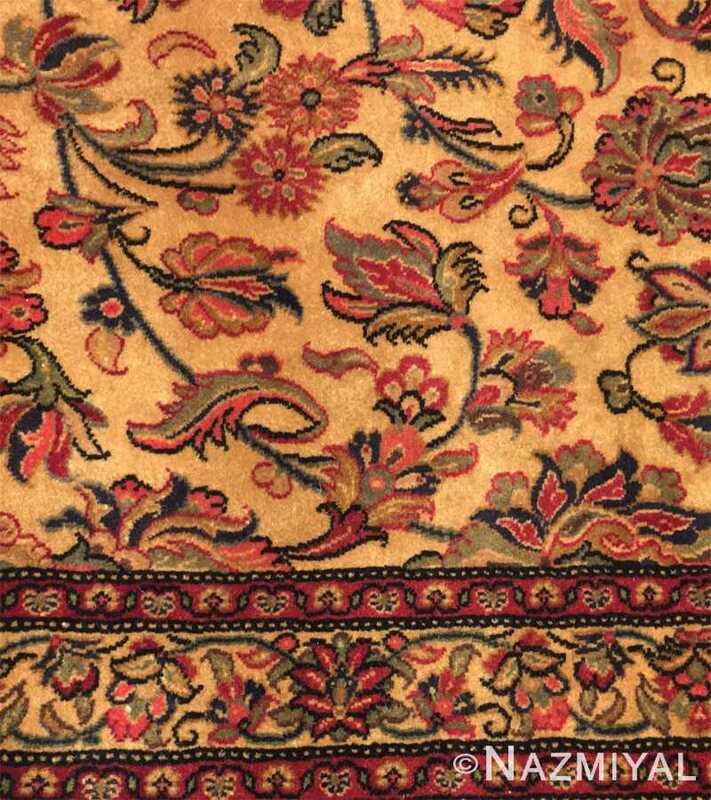 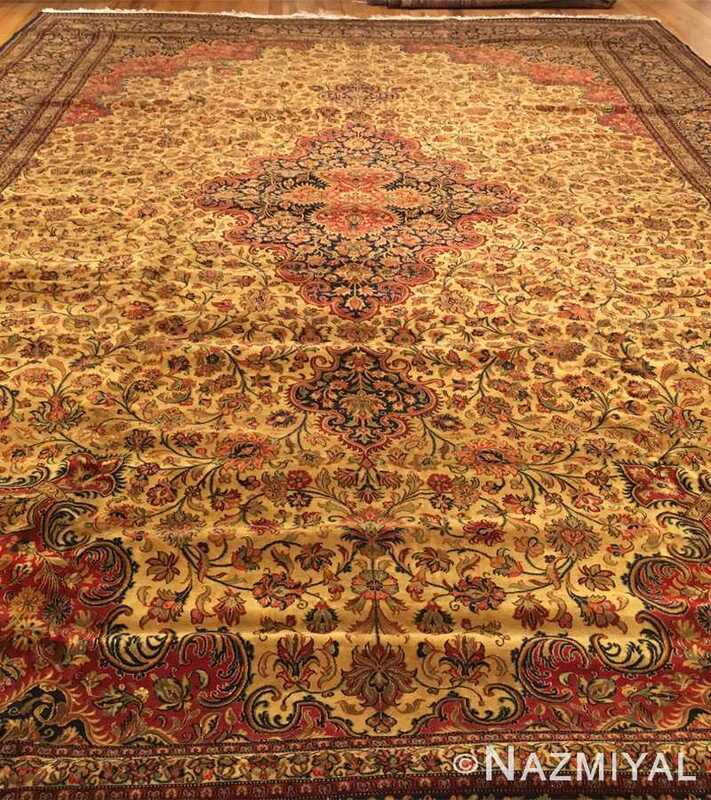 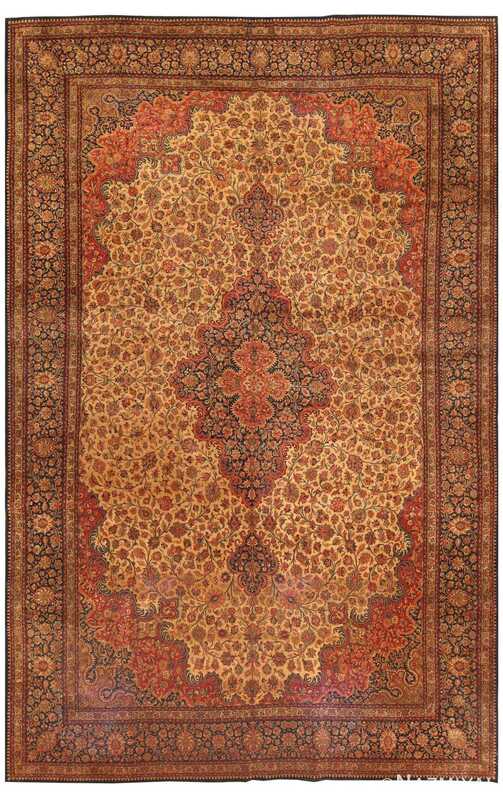 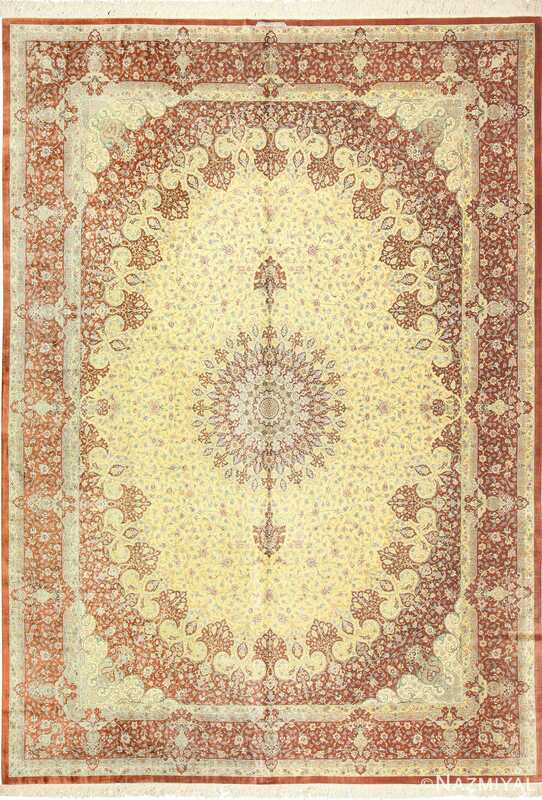 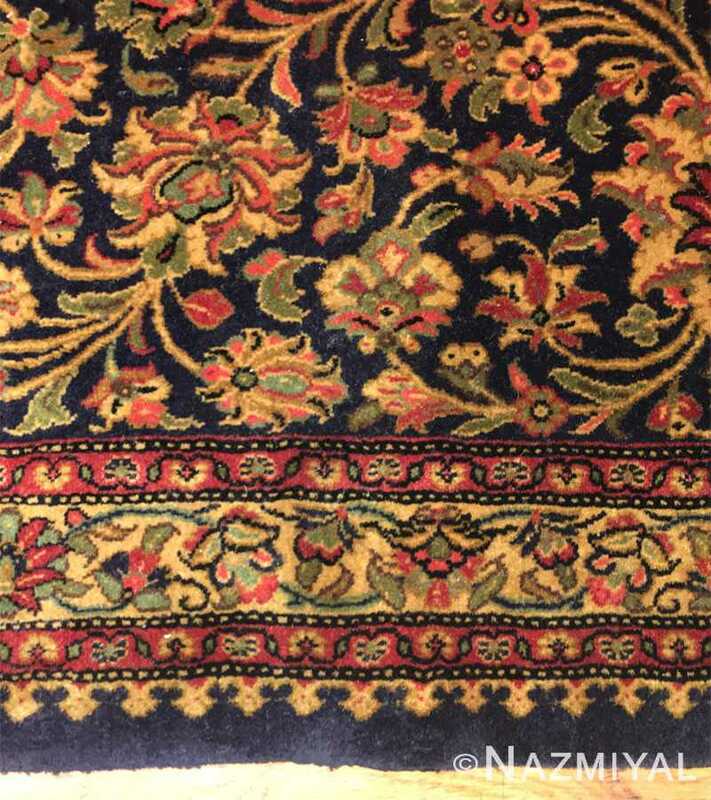 Beautiful Finely Woven Vintage Persian Qum Rug, Country Of Origin / Rug Type: Vintage Persian Rug, Circa Date: Mid 20th Century — Like most beautiful vintage Qum rugs of the era, this fine and beautiful vintage Persian rug features intricate details that are repeated throughout to create a single unified piece. 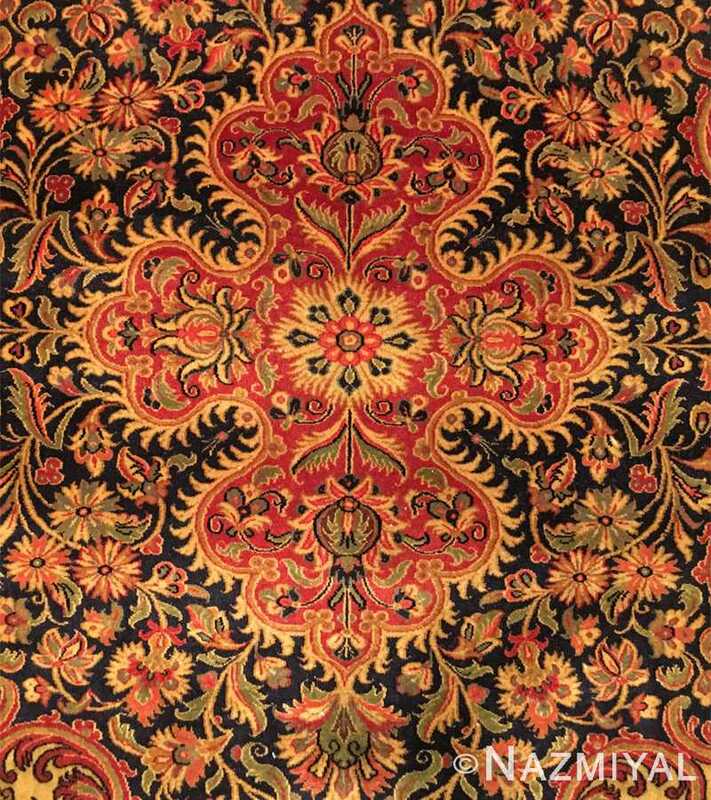 Bright, fiery flowers and vines weave within each other, flashing in vivid yellow, vermilion and red against a Stygian black background that highlights and accentuates the forms present. 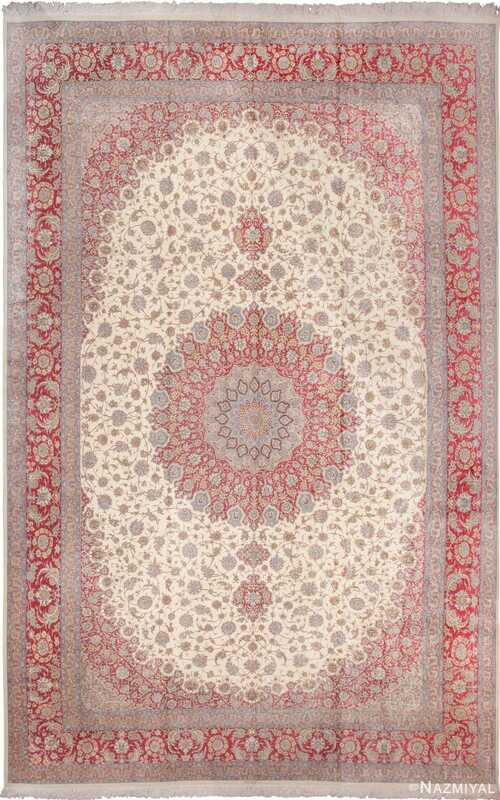 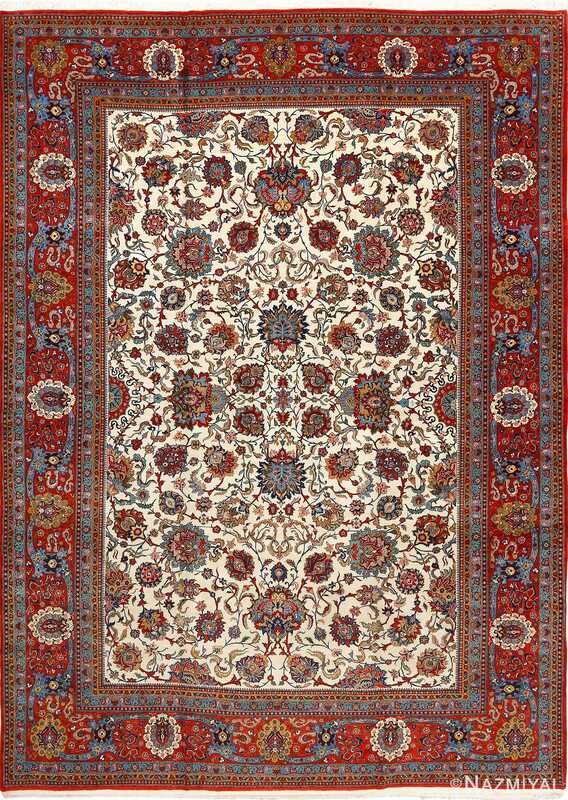 Several swirling whorls extend outward from the center of the vintage rug, creating their own borders between the multitude of colors before they stop to meet with the more angular borders, themselves containing intricate instances of unfurling petals and leaves within their space.